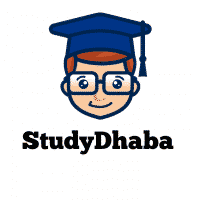 Download Laxmikant 5th Edition Pdf Indian Polity -Extra chapters Free – Hello friends Welcome To StudyDhaba.com .Here We are Sharing extra Chapters of Indian Polity Laxmikanth . Those Who Are new In UPSC Field and Want to prepare Indian Polity Section Than this is Best Book for you.This Is the book Which You Must read For Indian Polity Section . This book is referred By Almost All Toppers or we can Say In Recent years Every Toppers Suggested This book for Polity Section .This book Would Be helpful In – Prelims 2017,Mains 2017 And Interview Stage . McGraw Hill is proud to present the fifth edition of Indian Polity by M Laxmikanth. The book itself needs no introduction. It is one of the most popular and comprehensive books on the subject and has been a consistent bestseller for many years. It has become a must-read book for aspirants appearing in various competitive examinations, especially the civil services examinations. The wide range and scope of issues that it covers also makes it valuable to postgraduates, research scholars, academics and general readers who are interested in the country’s political, civil and constitutional issues. This new, fifth edition, has seven new chapters added, along with four new appendices. The extant chapters have been completely revised and updated with recent developments. Note – There Are Many Aspirants Who look for Free Pdf book or Scanned Book . Please Do not Play With your Future . Buy Hard copy .You can Buy This Book from Amazon .